If there’s anything I hate about cookbooks is that they all tend to be too formal, or that each recipe is accompanied by a mouthwatering photo of the finished product, as if telling me that whatever I cook, it will only be a success if the result looks exactly like the one in the picture. Fortunately, Rosan Katlea Reodica’s The Practicing Misis is none of that. It is a collection of 50 or so recipes that will delight not just the palate but also the heart. Each recipe is not just a step-by-step instruction on how to cook food as it’s interspersed with warm and uplifting stories of the author’s childhood in Cavite or her many heartaches and bad life choices (and the lessons she learned from making them); it is also a step-by-step guide on how to go through life. Refreshing as a watermelon shake is how I would describe this book. It is a cookbook told like how a hyper and funny friend would narrate it. A friend who is sometimes irritating (because she either talks too loud or too fast) but is almost always endearing. She may sometimes disappoint you but most of the time she gets it right, especially in the tummy and heart departments. With this book, Reodica, actually tries to make homemade food and cooking appealing to young people, the millennials, who grew up eating McDonald’s and canned tunas and whatnot. It is actually telling us that yes, even with all the technology around us, we still need to know the basics. The book aims to be hip and current, using hugot and puns to relate to the Filipino readers who most likely used (or encountered) a hugot line at least once these past months. I wish, though, it toned down on the mahugot (angsty) shtick a bit as it tended to be too saccharine especially if read in one sitting. The book’s switching from Filipino to English may also jar you at first but once you get the hang of it you’ll be sailing smoothly in no time. 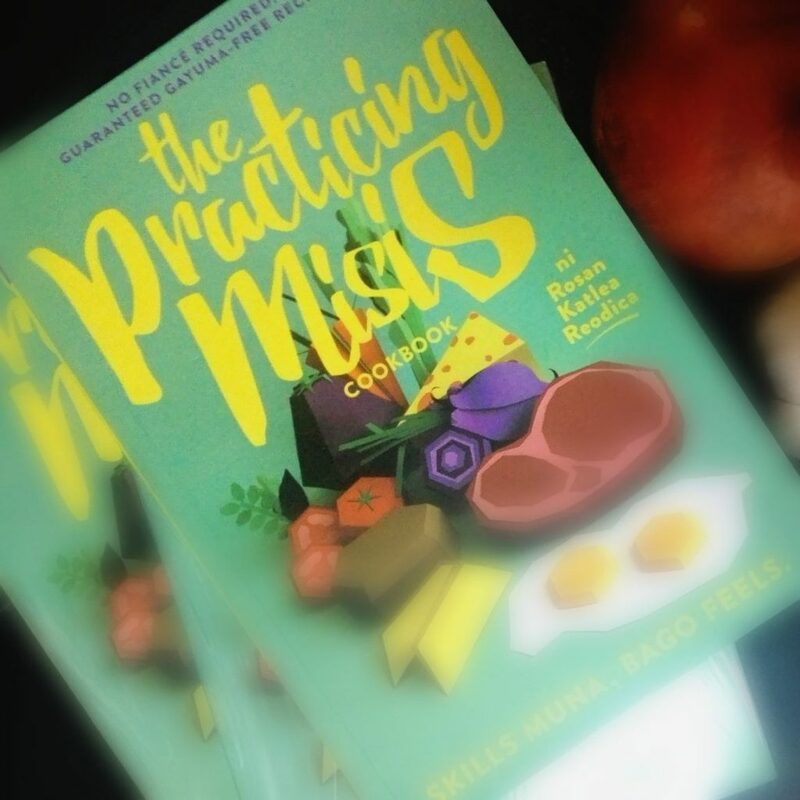 We are giving away two (2) paperback copies of The Practicing Misis! Two winners will get a copy each. Click here to enter the giveaway or join via Facebook! Bookbed received a copy of this book in exchange for an honest review. Read our Review Policy here.